I am a part of a great group of book club ladies. We meet each month, or every other month to discuss a book that one of the members has chosen. This month was mom's choice and we read "The Light Between Ocrans" by M.L. Stedman. She asked me to make some bookmarks as a small gift to give to the ladies. I chose to do a corner bookmark. The base of the bookmark is a 3 inch corner of an envelope. I then added some patterned paper on top, after I distressed the edges. 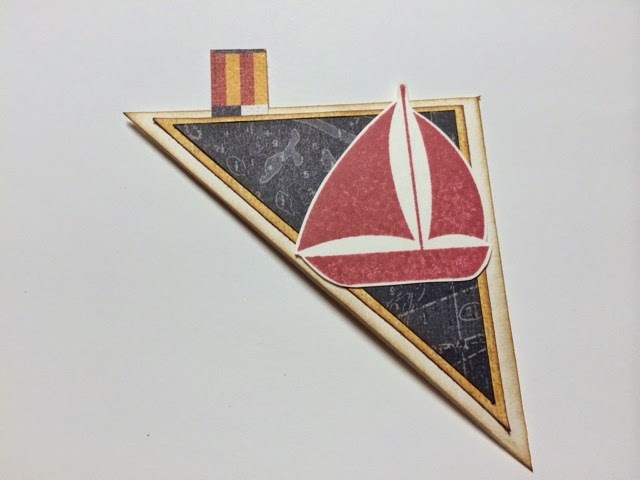 I used the sailboat from the stamp set "Lifesaver" from Fun Stampers Journey. Enjoy!